804-556-3411. Leave a message with your phone number and it will be directed to the appropriate committee representative. 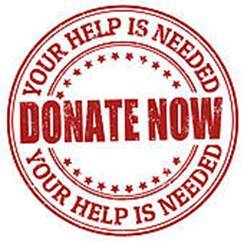 Please click our "Make a Donation" link above to view the Wish List of items the Christmas Mother Association needs. The Goochland Christmas Mother provides food, new clothing, toys, books, and other essential items to qualified Goochland County families with children, seniors age 60 and older, and disabled adults during the holiday season. The Goochland Christmas Mother Association is a non-profit 501(c)(3) organization. How can YOU support our neighbors to ensure a merry Christmas? The Goochland Christmas Mother Association has announced Kavis F. Winston has been selected to serve as Christmas Mother for the 2018 campaign. A long time Goochland resident, Kavis is passionate about serving her community. The Goochland Christmas Mother Association has announced that Elizabeth “Beth” Ferguson has been selected to serve as Christmas Mother for the 2017 campaign. A graduate of Virginia Commonwealth University, Beth has been an active Goochland resident for 23 years. 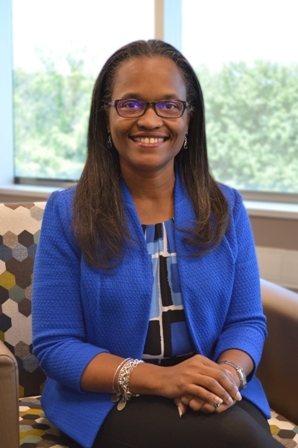 She is passionate about working with the students in our community and has twice been recognized as Randolph Elementary School Teacher of the Year where she has taught for 13 of her 21 years in education. The Christmas Mother Association recently held a luncheon for all past Christmas Mothers. We we able to get photographs of many past Christmas Mothers to update our "Christmas Mothers Past" webpage. Click on the link above to see the wonderful volunteers who have made the Christmas Mother Program what is is today! The Goochland Christmas Mother Association has announced that Meta Potts has been selected to serve as Christmas Mother for the 2014 campaign. Since moving to the county six years ago, Potts has been very active as a volunteer in a variety of projects and causes, including collecting food and other goods for the Goochland Free Clinic and Family Services Food Pantry, raising money for the Wounded Warriors Project and the Goochland Christmas Mother Association and volunteering in county school classrooms. The Goochland Christmas Mother Association has named a Christmas Mother and Father to lead the effort for this yearâ€™s Christmas Mother project. Marc and Elizabeth Jones, long time dedicated county volunteers, will serve as the Christmas Mother Parents for the 50th year that a county leader has been chosen to support this major holiday giving drive. Heidi Hall, Christmas Mother 2012, receives the grant check from Goochland Courthouse Food Lion store manager, David Douglas. The gift was made by the Food Lion Charitable Foundation in support of the food given by the Christmas Mother Association each year to county recipients. Cases of food and staples being delivered to the Christmas Mother staging site to be sorted into packages that will be given to each recipient family. The applications for assistance from the Goochland Christmas Mother have reached an all time high this year. More than 325 families totaling more than 850 people are seeking help in providing a meaningful Christmas for their household. The deadline for applications has now passed and the work remains to support the record high numbers of those in need. The Christmas Mother Association expects to provide food and gifts to all qualified applicants. Christmas Mother Dale Agnew has been busy speaking to churches and local organizations to ask for support. â€œSo much of the success of this outreach is dependent on the work of our volunteers. We have a dedicated board and host of volunteers that work so hard to meet the needs and make Christmas meaningful for so manyâ€�, she said. A part of what makes the Goochland Christmas Mother program special is shopping for gifts. â€œWe think it is important to provide something special for each person to open on Christmas Dayâ€� said Kit Davison. â€œWe need 60 or more volunteer shoppers to turn out on Tuesday, November 29 at the WalMart at Short Pump.â€� Volunteers shop from a list of family members and then turn their cart in to a special line to be checked out and loaded on a truck. The shopping begins at 7:00 am and will continue until mid-day or whenever all the shopping is completed. Volunteers are asked to come any time and stay as long as they are able. All of the gifts will be wrapped on Wrapping Day, Saturday December 3 at the old Goochland Middle School on Dogtown Road. Wrapping will begin at 8 a.m. and continue until all the wrapping is finished around mid-day. â€œIt is a fun way for families to volunteer and support the Christmas Mother,â€� Dale added. Local organizations, churches and families have stepped up to â€œadoptâ€� a family for Christmas but there is still a need for more adoptions. Adoption means providing a package of food and gifts similar to what is provided by the Christmas Mother. Adoptions of families on the list enables the Christmas Mother to further meet the needs of community. The organization is also raffling a king size quilt, with the drawing to be made during the gift wrapping on December 3. To purchase a ticket, contact Connie Reid at the Goochland Department of Parks and Recreation. The Christmas Mother is seeking assistance in many ways. Donations of wrapping paper, adoptions, volunteer time for shopping and wrapping and monetary contributions. In 1957, the Family Services Society, now the Goochland Free Clinic and Family Services, began distributions of Christmas food baskets to families in need in Goochland. In 1963, Ms. Rodie Roberts was selected by the Society as Goochland's first Christmas Mother. 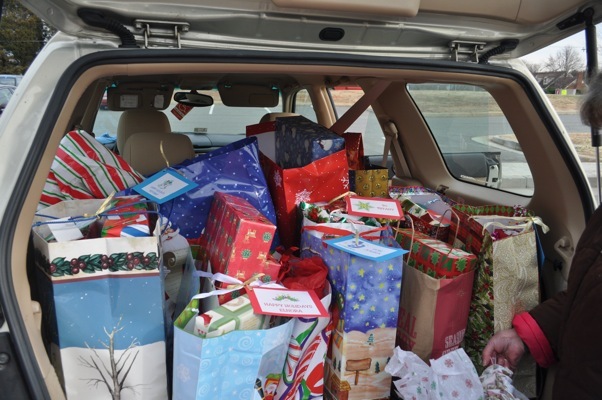 Each year since then, a new Christmas Mother has been selected to lead the community in its mission to help families in need in Goochland during the holidays and throughout the year. The Christmas Mother Program is now run by a board of directors. Individuals and businesses volunteer their time, efforts, and monies to keep this worthwhile tradition running. "Dale Agnew Named Christmas Mother"